They truly made the car buying process as easy and stress free as possible. Everyone we worked with was professional, knowledgeable, and good to work with. I’d definitely recommend them to a friend. Sales person was helpful and knowledgeable. Time spent making the purchase was shorter than expected. Communication during the buying process was good. Good deal with incentives. Thank you Wally and the team! Hassle free! We got a beautiful new truck at a great price. Planning to work with the people we met in parts and service in the future. Great experience with Nick at Dover Chevy. Very knowledgeable and easy to work with. The entire staff was very helpful. I would definitely recommend Dover Chevrolet. Great service. They kept me informed as to what was happening the whole time my car was being serviced. 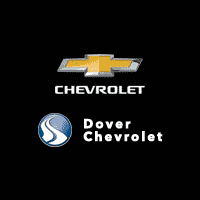 My experience with Dover Chevrolet was wonderful. The salesman Matt could not have been better, very knowledgeable, fun, patient and did not rush us. Very nice experience overall.